South Florida was the center of politics in the early 1970s. Both party’s political conventions were held on Miami Beach. Richard Nixon accepted the Republican nomination and Senator George McGovern accepted the Democratic nomination. Both conventions were greeted with widespread protests of the Vietnam War. In addition, Key Biscayne became a national focus as President Nixon’s Winter White House. The decade was also a time where South Florida came of age with professional sports. Minor league baseball was played at the Miami Stadium. 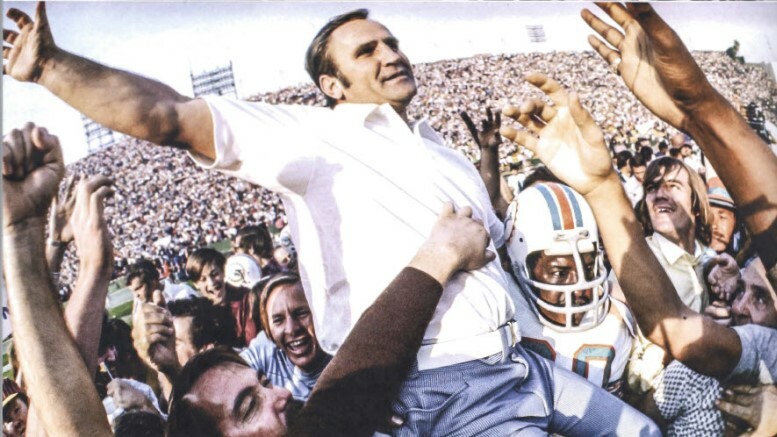 The hiring of Don Shula in 1970 led to three consecutive Super Bowl seasons. The 1972 season earned the Dolphins the distinction of being the NFL’s only undefeated champion. This decade also represented the time when Miami became known as the “New World Center”. Immigration from a variety of locations in the Caribbean, South and Central America made it a very diverse community. All parts of Miami saw great change in the 1970s. The Brickell neighborhood shifted from a row of prominent mansions to an avenue of high rise condominiums. Downtown Miami saw changes to its skyline as well. In addition, Miami embraced its changing demographics by electing the first Hispanic Mayor in 1973. Lastly, the episode features the opening of a new college that is now one of the largest in the country. Through a combination of the observance of the nation’s bicentennial and the Decade of Progress bond issue, Miami built Bicentennial Park and the River Walk.